Looking for a way to support refugees in our community? Not enough time to commit to an ongoing volunteer position but really want to show refugees you care? Already support refugees and want to show them even more love? This family-friendly event costs $35 (kids under 18 are free!). Whether you're there to compete (prizes are awarded to the first three finishers!) or want to walk, relax and enjoy one of the Twin Cities' most beautiful paths (in our humble opinion!) around Lake Phalen in St. Paul, this is the event for you! We're currently working on finding sponsors for the event this year! 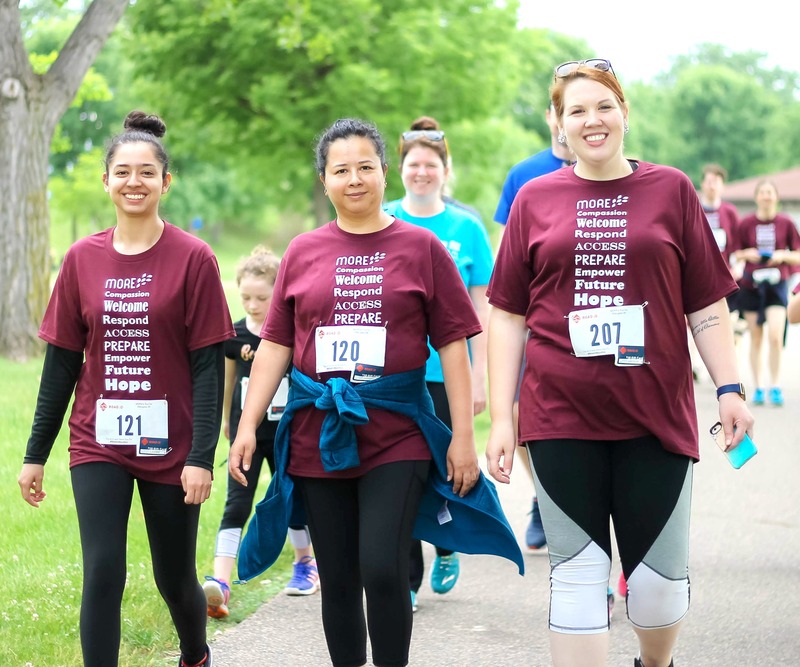 If you are interested in sponsoring the Run for Refugees 5K, pleast contact Cathy Rucci at crucci@more-empowerment.org.